Just a quick post on the Lego creator set number 30029 Pudsey bear in aid of the BBC children in need 2011, it says that all the Lego profits of the set goes to children in need. The set looks like it has just under a 100 pieces, it is a nice model with moving feet and arms, it also has a plastic eye patch. At the time of writing they still have them in Asda and looks like from the Lego shop aswell and retails for £4 so it good value especially the profits going to the children in need charity. So if you still can grab yourself one of these special addition Lego sets and you are helping a great charity. 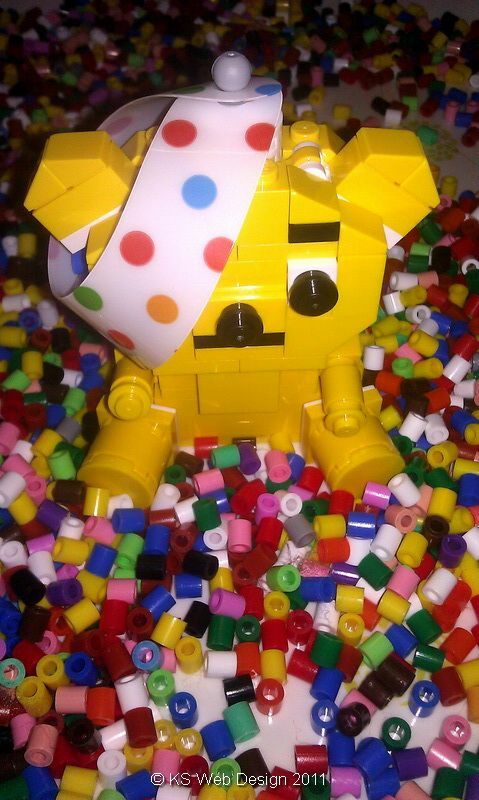 Here are some quick photos of the 30029 Lego Pudsey Bear.